There is a new program down at the Prep School this year called Falcon Wings Preppie Mentorship. 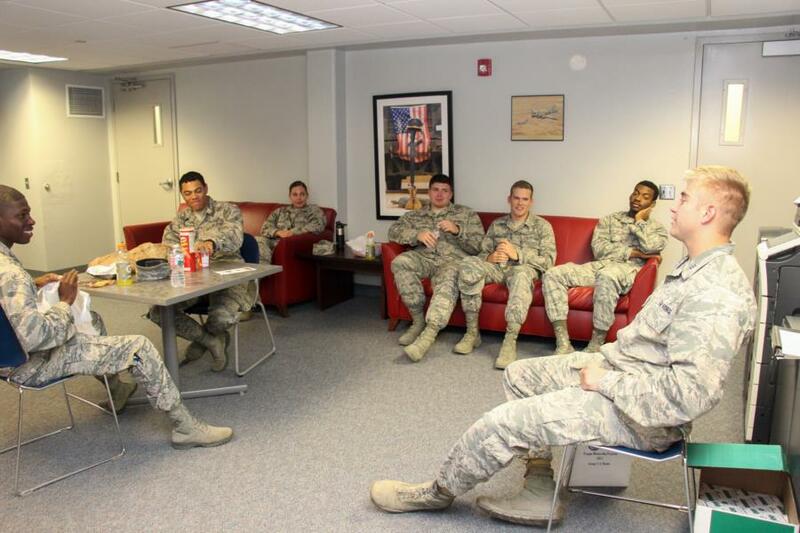 We stopped by earlier this month to catch a glimpse of the C/C’s talking with Cadets and Staff. 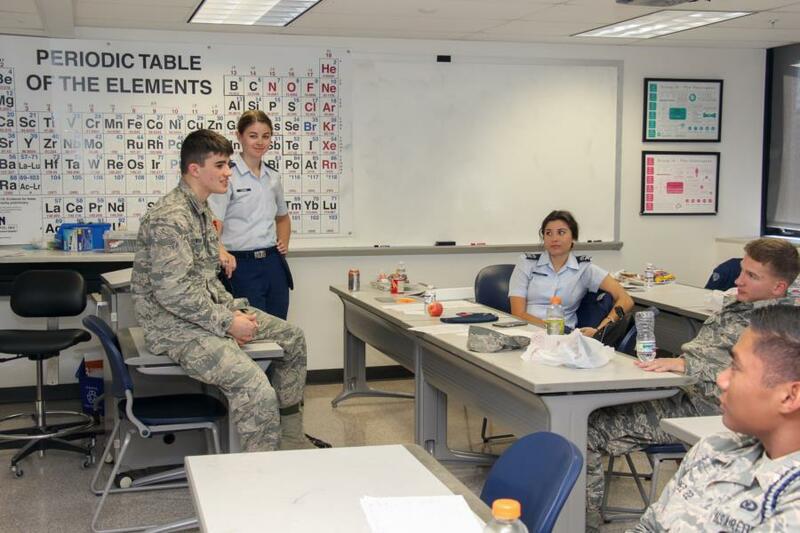 This program is based on, “DoD approved support for Lean In Circles philosophy (www.leanin.org)” – but while Lean In is geared towards women, this program has been created for both the male and female Cadet Candidates, which allows for gender-specific mentorship as well. Not only does this program benefit the C/C’s, but also the Cadets with the experience and knowledge they will gain this year from assisting the Prep School with this program. 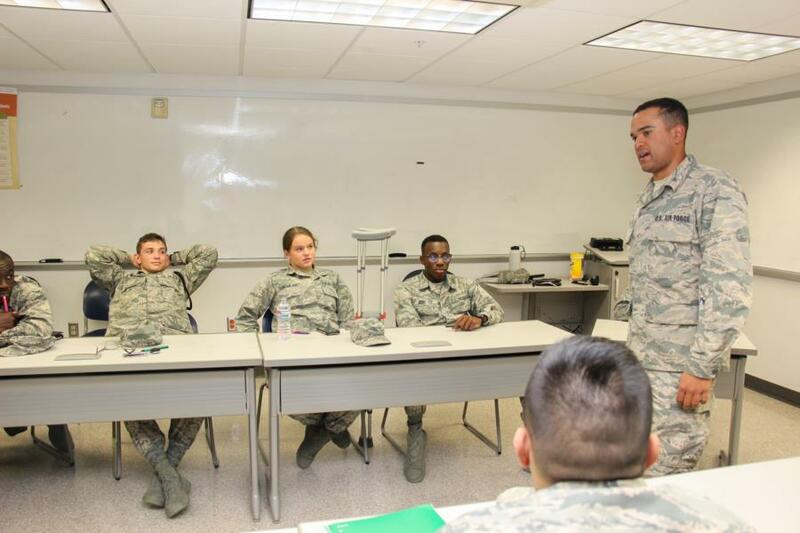 Perfecting their ability in the future, to be able to mentor airmen and help them grow. For the October Mentorship, Cadets and Officers met with small groups of C/C's and talked about Interpersonal Relationships. The session started with an ice breaker where they introduced themselves and talked about their day. 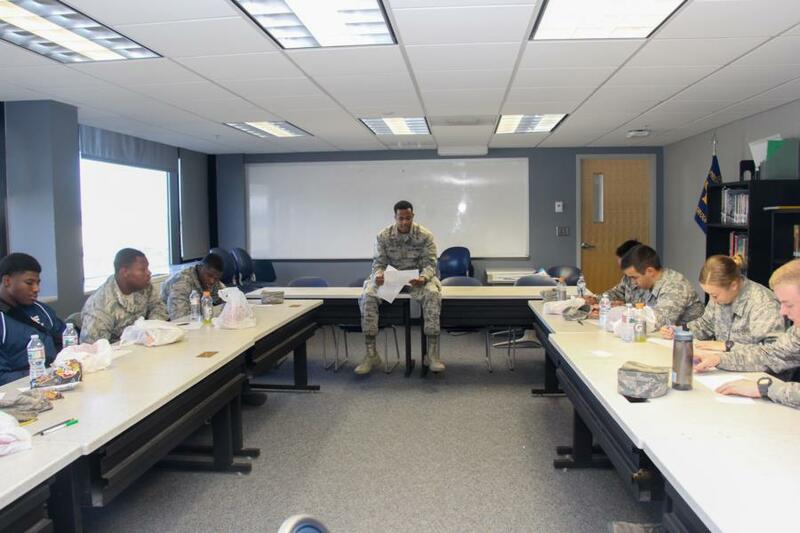 the lesson plan included an activity that helped the C/C's assess “how diverse is my network?” and then some discussion questions that help them consider and talk through the impacts of having, or not having, a diverse network of trusted friends or “go-to” people in their lives. While we stopped by we caught glimpses of the lesson in different stages, catching some ice breaker moments as well as the C/C's working on their "Diverse Networks Activity", where they talked about who their go to people were whether it was within their squad, sport, area of the country, family, etc. Once they figured out their network they discussed it with their group and their mentors. "The goal is to help them see the benefits of diversity, and that diversity isn’t just what someone else looks like, it’s DIVERSITY OF THOUGHT based on LIFE EXPERIENCE." To view the rest of our glimpse into the Falcon Wings Preppie Mentorship program go to; Classe - Prep School - Character & Leadership Development.